September 27, 2018 September 27, 2018 by Wm. B. Eerdmans Publishing Co.
Jeannine K. Brown is professor of New Testament at Bethel Seminary in San Diego. She is the author of a number of books, including Scripture as Communication: Introducing Biblical Hermeneutics. Kyle Roberts is dean and professor of public theology at United Theological Seminary of the Twin Cities. His other books include A Complicated Pregnancy: Whether Mary Was a Virgin and Why It Matters. 1) The theme of justice is more prominent in Matthew than usually understood. While Luke has often been the go-to Gospel for the theme of justice, in our book we highlight how Matthew gives significant attention to this motif. Matthew gives prominence to the theme of justice in his arrangement of Jesus’ teachings. The first and last of Matthew’s great discourses begin and end with reference to justice. Two of the Beatitudes foreground dikaiosynē, which are best rendered by “justice”: “Blessed are those who hunger and thirst for justice…Blessed are those who are persecuted because of justice” (5:6, 10). And in the parable that concludes the final discourse (25:31-46), the “just” (dikaios) act in ways toward the “least of these” that exemplify the justice and mercy Jesus both commends (e.g., 23:23) and enacts (e.g., 12:18-21). 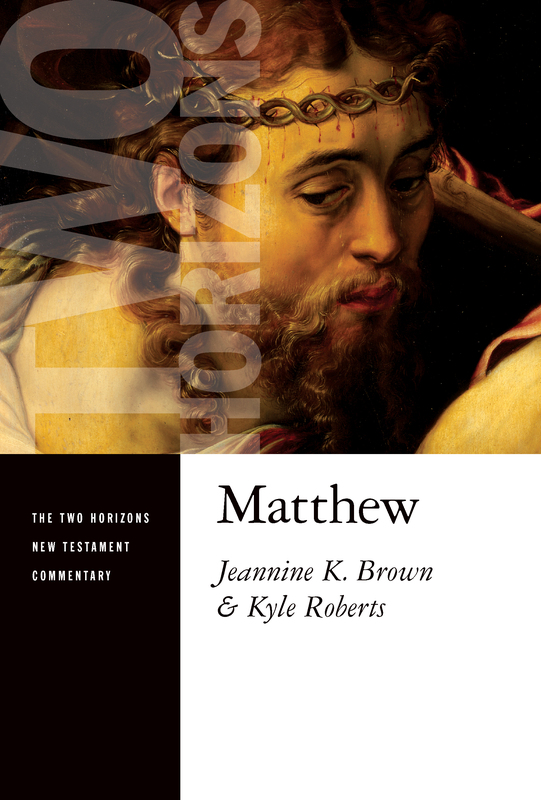 In these and other ways, Matthew’s Gospel calls the reader committed to the gospel of the kingdom to live out justice toward those most desperate for it. 2) A keen interest in Matthew’s genealogy when listening to global voices. In our chapter, “Reading Matthew with Global Perspectives and Liberation Theologies,” we researched and read broadly to hear how Christians in other parts of the world have read Matthew and what they have found important. One compelling insight for us is that Matthew’s genealogy, a passage in Matthew that is often overlooked in Western contexts (to be fair, genealogies aren’t always the most riveting reads! ), is a favorite one in African reflection on Matthew. The legitimizing and honoring of one’s ancestors through genealogy is foundational in some African cultures, and interpreters from those contexts have powerful insights to share about Matthew’s genealogy. For example, the category of Jesus as “the great ancestor” (bediako) becomes a rich point for theological reflection. 3) The very Jewish Jesus in Matthew. This isn’t so much a surprising insight as it is a challenging one to communicate in some Christian contexts today. There still exists quite a bit of implicit anti-Semitism in the church, as there has been in the biblical studies guild of the recent past. One feature of our commentary is significant attention to Jesus’ Jewishness, again something that shouldn’t be surprising but is easy to miss when reading with a Christian lens. Using that lens, many celebrate how Jesus breaks all those Jewish rules—they extol him as a maverick. This picture fits much more closely our American narrative—we admire rogues and renegades—than it does Matthew’s portrait. In that portrait, Jesus is a Torah-obedient Jewish rabbi whose goal isn’t to buck the constraints of his faith nor is it to start a new religion. 4) The Holy Spirit as important theological locus in Matthew. The typical categories of theological reflection from Matthew include kingdom, Christology, and discipleship—and we address each of these in the discreet chapters of part two. Our chapter on the Holy Spirit might catch some readers off-guard. As I (Jeannine) said to Kyle when he suggested we spend a class session on the topic in our co-taught “Matthew for Theology” course on the Spirit, “The Holy Spirit isn’t a prominent motif in Matthew. Jesus as God with us is the more pertinent (and Christological) category.” One of the lovely surprises of interdisciplinary collaboration was that there was more than enough narrative material on the Holy Spirit for a chapter in a Matthew commentary. 5) Matthew’s surprisingly egalitarian motifs. Of all the Gospels, Matthew virtually narrows “the disciples” to the Twelve and so limits this character group, to state the obvious, to men. (Luke, on the other hand, expands this group to “a great crowd of his disciples;” 6:17) Yet a surprising feature of Matthew’s Gospel is its strong egalitarian impulse, especially when set in light of status expectations of the first-century world. In chapters 18-20, Matthew highlights status renunciation as a characteristic of his community and those who would be its members. He does this in part by accenting Jesus’ commendation of children and slaves as role-models for discipleship. In the first-century world, these figures signaled low-status; Jesus was undercutting in the kingdom community any ambitions toward high social status (e.g., 18:1-5; 20:20-28). In Matt 23:8-12, Jesus’ words are even more direct—the community of faith is to be egalitarian through and through since they have only one “father” and one “teacher.” Matthew also, on one notable occasion, has Jesus accept the bold correction of a Canaanite woman (Matt 15:21-28). Join Eerdmans Commentary Club and you’ll receive a coupon code good for 40% off any commentary at Eerdmans.com just for signing up. Code delivered via email.